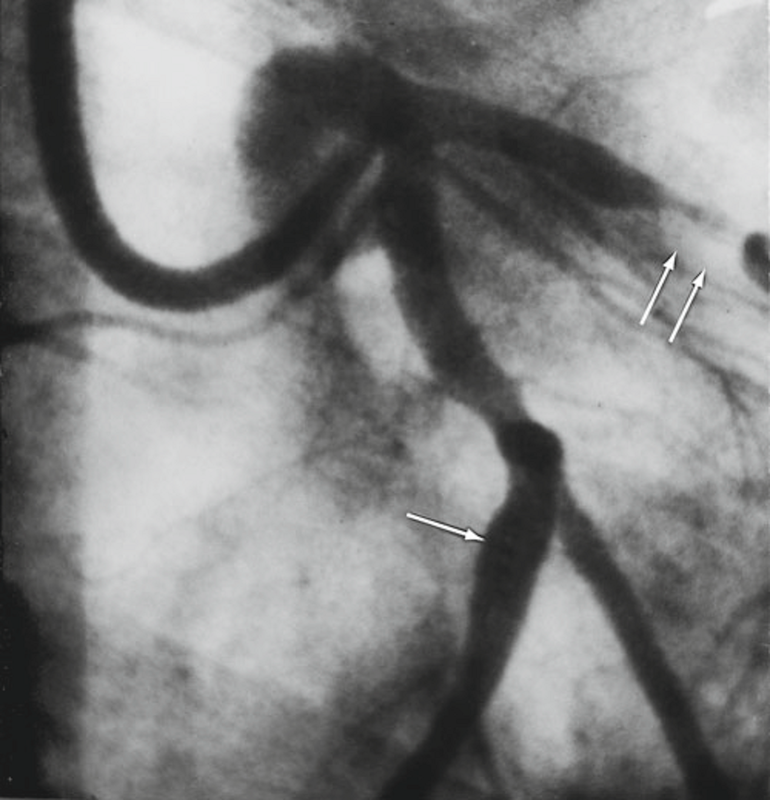 The first attempts to visualize the coronary arteries in living humans were published in 1945 by Radner S who used trans-sternal punctures to inject contrast material into the ascending aorta. High complication rate with poor results, the technique was abandoned. 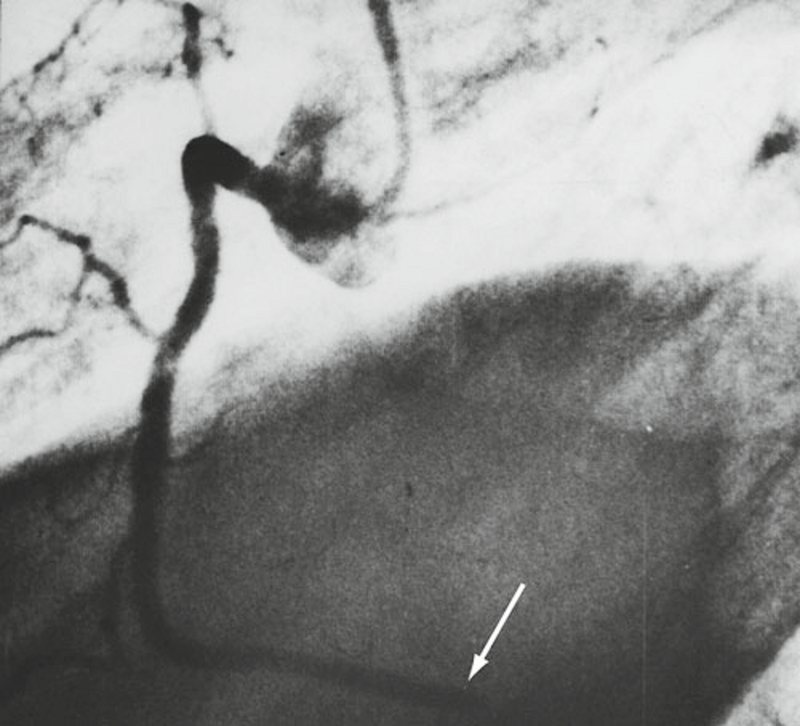 The first selective coronary angiogram was performed by Mason Sones in 1959 through the brachial cut-down technique. 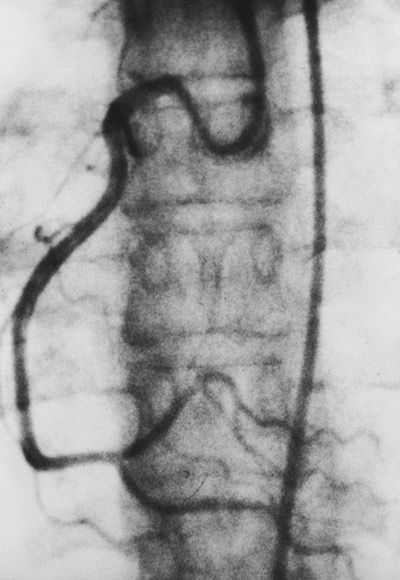 With the prior introduction of the Seldinger wire cannulation method for vascular cannulation percutaneous transfemoral catheterization technique was developed. 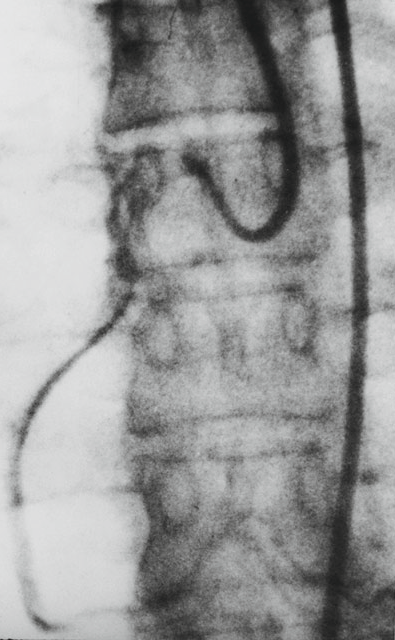 Judkins, Amplatz, Abrams and others invented preformed catheters that could be passed with great ease from the femoral artery to the coronary ostium. 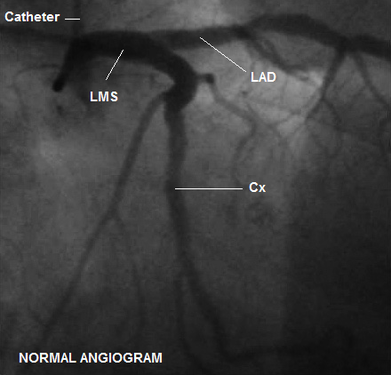 Provides excellent delineation of coronary anatomy in vessels > 400um in diameter. Mainly shows the anatomy of the arterial lumen opposed to the wall of the artery. It is a 2D shadow of a 3D object. The X-rey beam is generated by an X-ray tube. The beam passes through a collimator where lead apratures form and limit the beam. On intersection with the patient, most of the beam is reflected or absorbed. The remaining photons pass through the image intensifier. Coronary arteriography is generally a safe procedure. 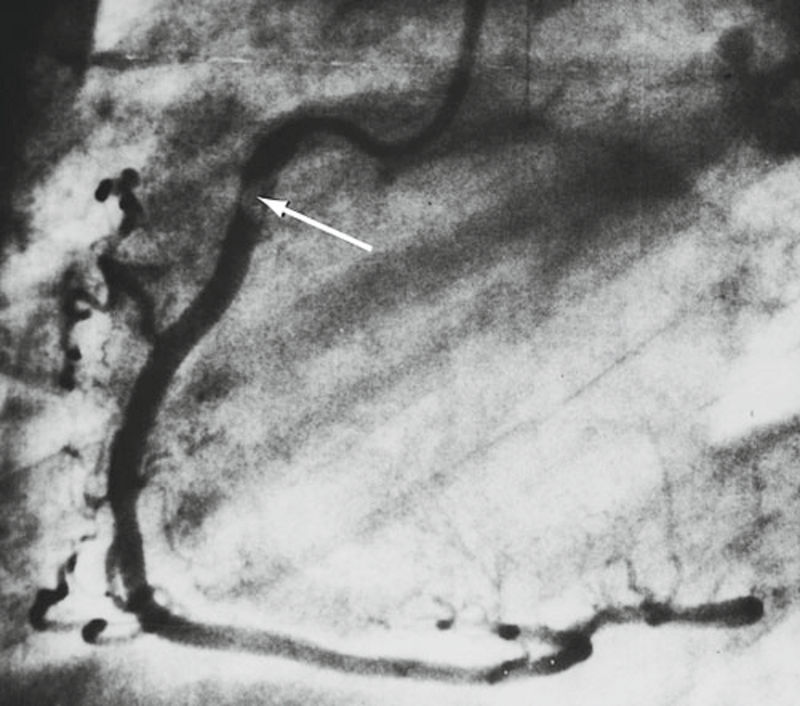 Evidence of embolic material probably from a catheter thrombus, or less likely, from an atherosclerotic plaque; large RCA. 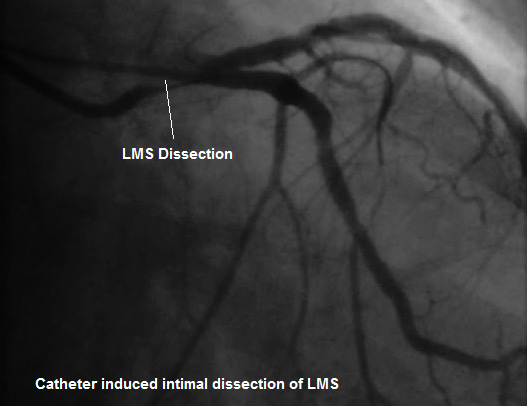 patient with localized stenosis of the LAD (double arrow).